The country had lost 90 per cent of business since the Arab Spring, but the elections are grounds for optimism. Egypt – in the midst of choosing its first democratically-elected leader – is open for business, according to Elhamy ElZayat, chairman of the Egyptian Tourism Federation. ElZayat, who is also CEO of destination management company Emeco, said the country had lost 90 per cent of business since The Arab Spring, but the elections were grounds for optimism. ElZayat has been involved in the meetings and events industry for many years. He added: “I started in the 1970s, when there were no mobiles. We had to borrow 10 walkie-talkies from the army to move my first incentive group, which involved 16,500 people in Cairo." Egypt’s meetings and event industry has suffered since the revolution began. ElZayat explained: “We lost a lot, almost 90 per cent of business, and we continue to do so. 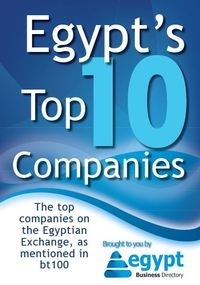 This upcoming September, I was asked to bring in an incentive of 1,200 persons, and I said I cannot do it, not in Cairo. Anywhere else, yes. I could not do that and lose my reputation. Cairo is good right now for small conferences. That said, it should improve. Even if politicians have some other ideas in the back of their mind, which they are not making public now, I think the overriding issue is that they all want to stabilise the mood of the population.